The fabric used to stitch model of GP-181 Come Sit A Spell. 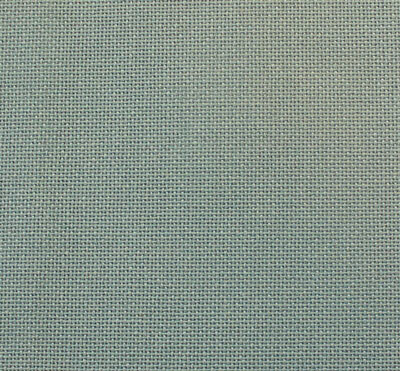 28ct Antique Blue Lugana – 18″ X 18″, 1/6 of a yard – by Zweigart/Needleworker’s Delight. Design Area: 12-1/2″w X 11-5/8″h. A 1/6 of a yard will work sufficiently, however, only allow for 2-1/4″ selvage on the left and right side of the image area. The model was stitched using 1/6 of a yard and there was plenty of selvage for framing. However, it is strongly suggested that you begin stitching in the center of the fabric.